Tidal Lace love in Maine! Oh there has been some TIDAL LACE fun going on all over the state of Maine! 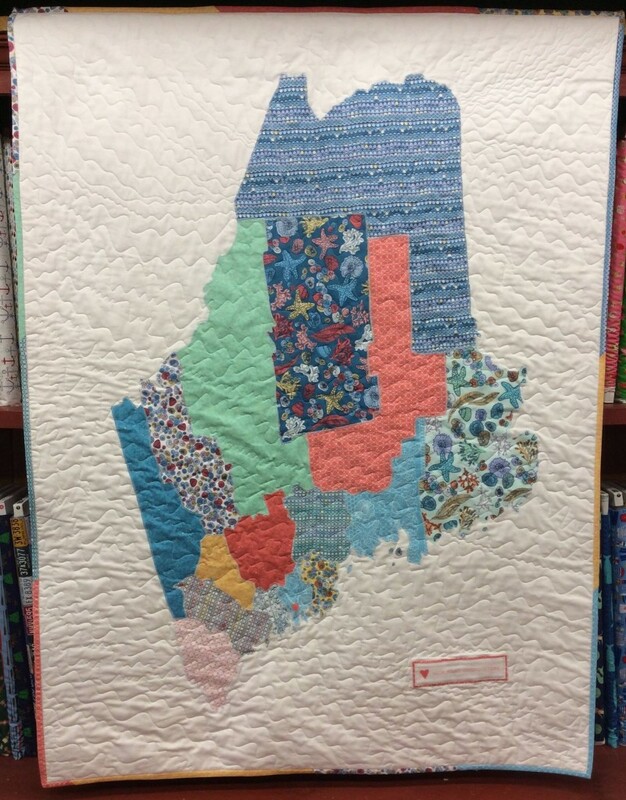 For the past 12 years the quilt shops of Maine have collaborated and formed a month long shop hop in April. 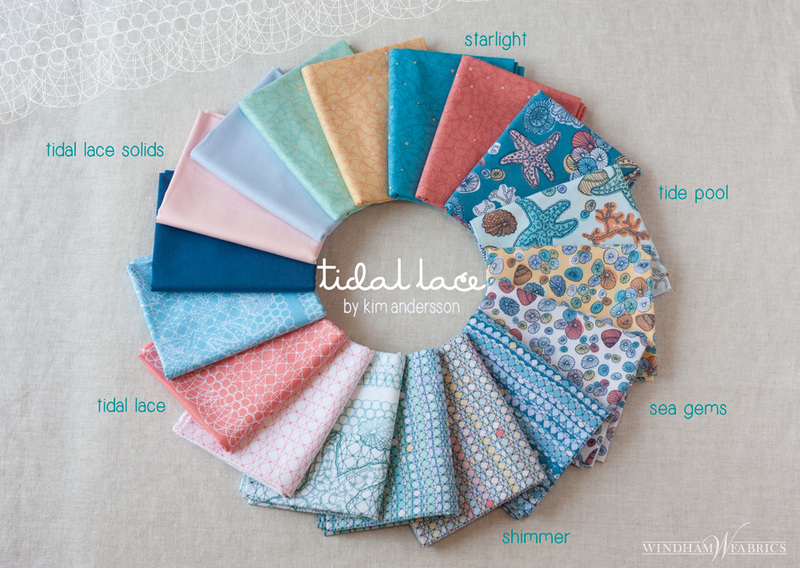 Each year they choose a fabric collection to feature and for 2015 they chose TIDAL LACE!!!! Yes, TIDAL LACE! Here is a peek at some of these amazing creations. Who wants to go to Maine this Summer?? Today we have some amazing accessories for you and some for your home all done up in Tidal Lace! 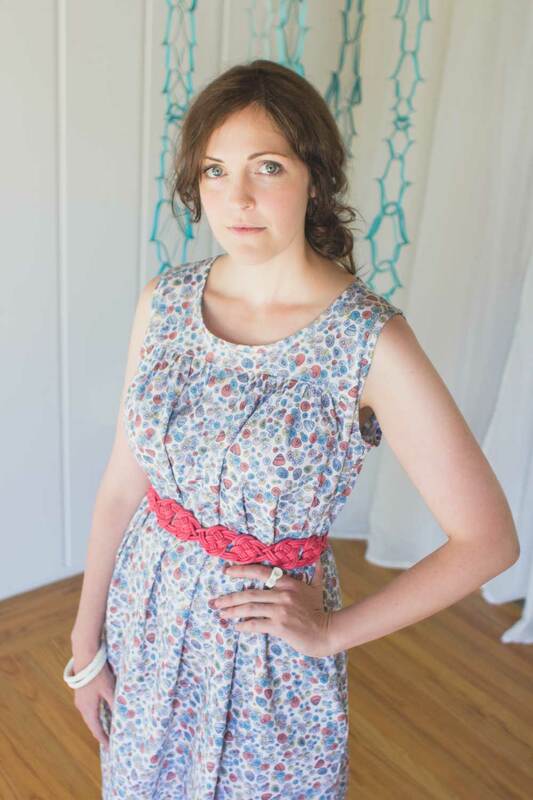 I love the design detail and thought that Alicia puts into her patterns for Swoon Sewing Patterns. 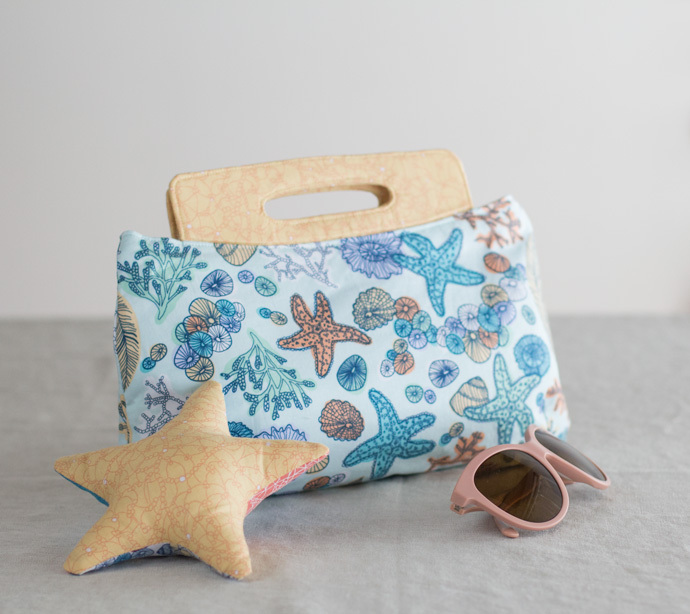 When thinking about what projects I wanted for the Tidal Lace look book I knew that I wanted a big gorgeous beach bag and when I saw Alicia’s Sophia Beach Tote I emailed her right away. The Sophia is large and roomy while still keeping a fabulous shape, I adore this bag! She also made a Coraline wristlet and Coraline clutch which are versatile and adorable bags. 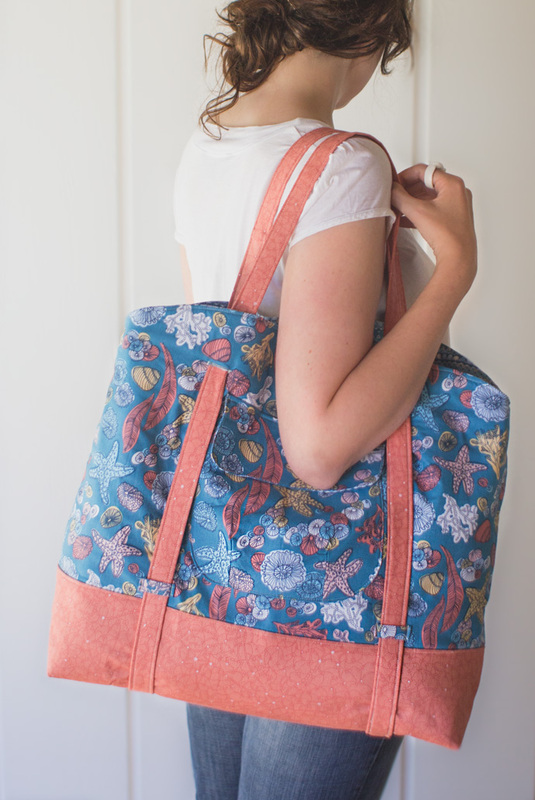 If you see me at Fall Quilt Market I’ll be walking around with one of these amazing bags. Come and say hi and have a closer look. Meanwhile read more about them here. 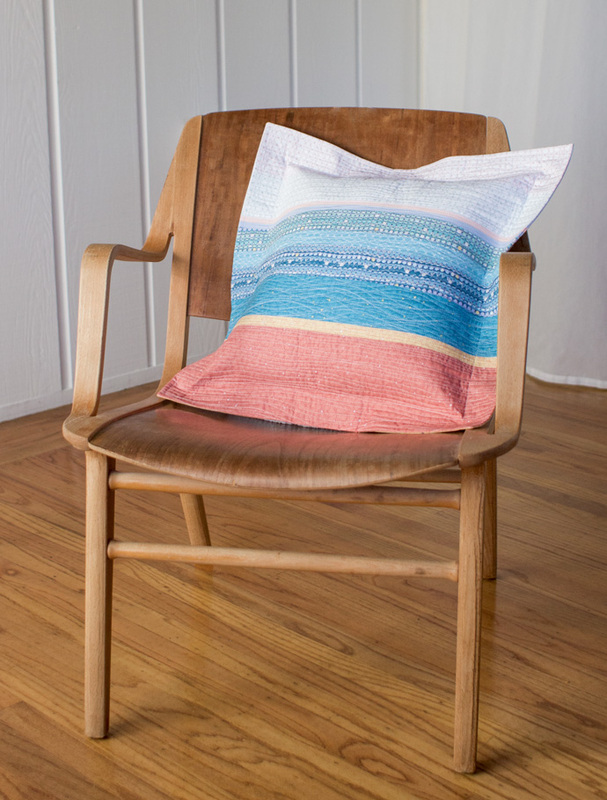 Compass Pillow by Stacey Sharman. Photo by Danielle Collins. 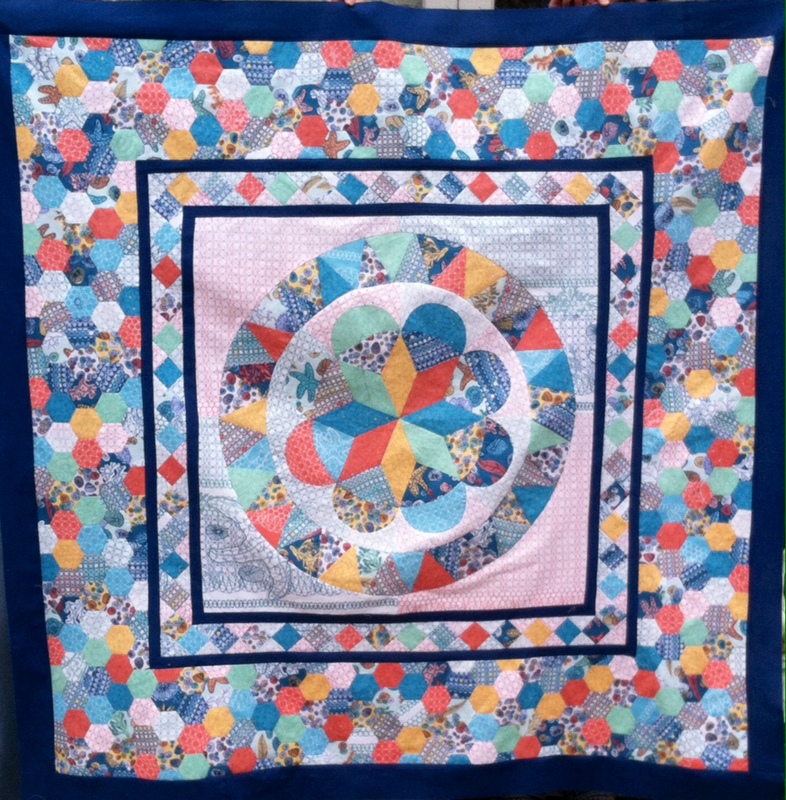 Stacey from Peppermint Pinwheels is a wonderful friend that I met through the East Bay Modern Quilt Guild. Stacey founded the East Bay group in 2010 (we used to meet in a local coffee shop) and I have long admired her amazing pieced creations. She has seen this fabric collection form from the very beginning and I’m so glad that Stacey was able to create her impressive Compass Floor Cushion with Tidal Lace, it is stunning! Today are two fabulous projects by 2 of the loveliest people. Both Cal and Rebecca are amazingly creative and they teach the most amazing classes! Beachcomber Dress by Cal Patch. Photo by Danielle Collins. It was while I was at the creative retreat The Makerie that I met Cal Patch. I had taken Cal’s class on Creative Bug and it was fabulous to meet her in person (can’t wait to take another class with her!). Cal’s Beachcomber Dress is amazing and all my friends at the photo shoot that day had to try it on, we loved it so much. It is like this magic dress that looked great on all of us! See this gorgeous dress here! Embellished Tide by Rebecca Ringquist. Photo by Danielle Collins. I first met her when she was teaching at A Verb For Keeping Warm, her embroidery class completely freed up my thinking about embroidery and I started having much more fun with it. We then met again at The Makerie and it was lovely being able to spend more time chatting with her. 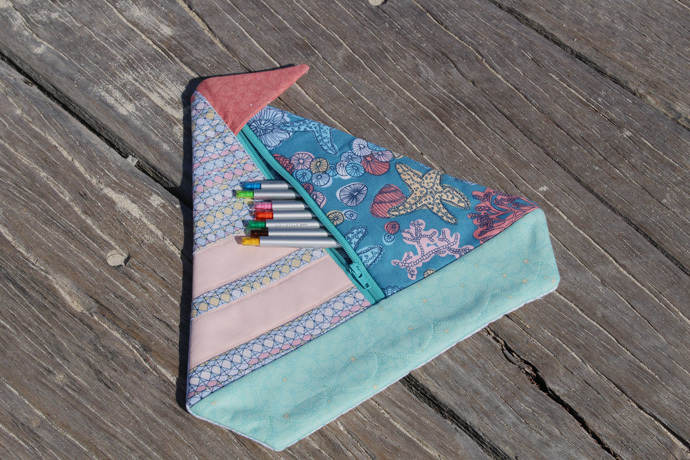 Rebecca created this gorgeous piece Embellished Tide, she used the Tide Pool fabric as a base and then made amazing embellishments on top. Rebecca is an amazing artist, her embroidered drawings blow my mind! It’s amazing, go see more here! 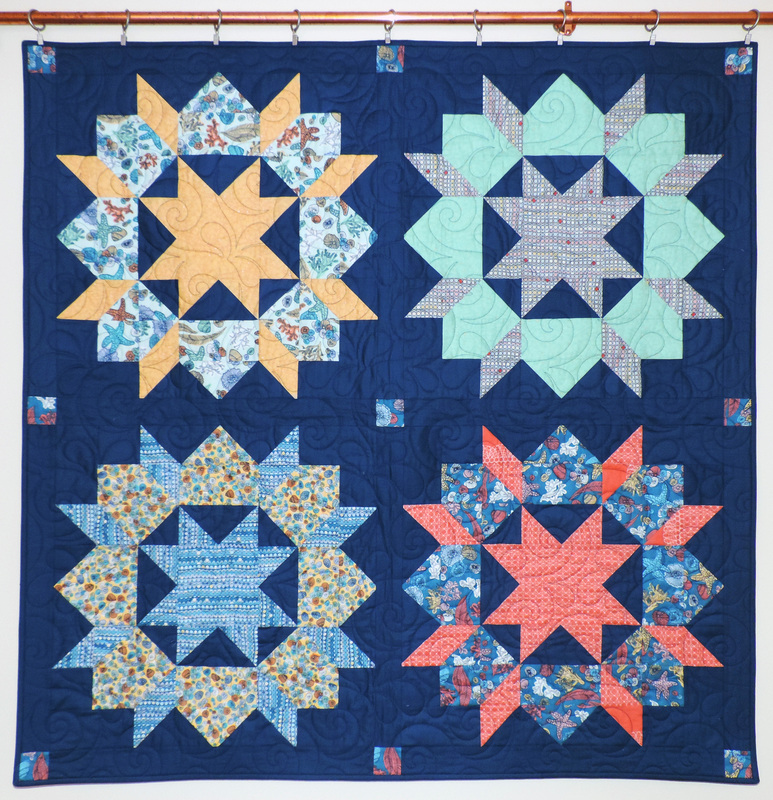 Tidal Lace Fat Quarter Wheel. Today on the tour we visit 2 amazing quilts by some amazingly talented designers. Pati is another friend that I met through the East Bay Modern Quilt Guild. I love this group so much! Pati is a part of the See How We Sew team and they asked me to guest post for them a few months back (see it here and here). When they said that they would love to create something with Tidal Lace I was over moon! 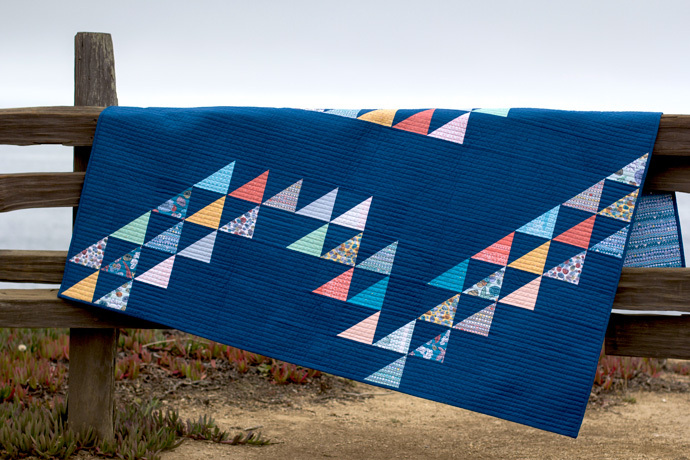 Who wouldn’t want Pati Fried, Laura Nownes and Jennifer Rounds collaborating on a quilt made out of your fabric collection!?! Together they came up with the Day At The Shore Quilt which brings squeals of delight every time someone lays their eyes on it. It is amazing go take a look here! 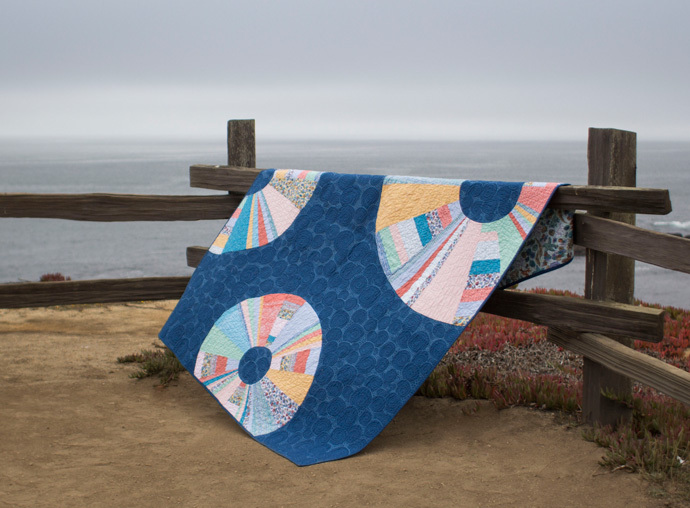 Tide Pool Quilt by Amanda Hohnstreiter. Photo by Danielle Collins. Amanda and I met though the fabulous Quilt Design a Day group on Facebook. 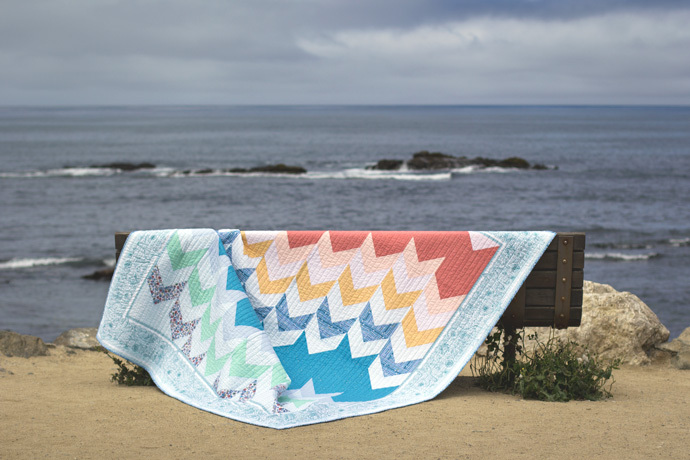 When I asked Amanda if she would create something with Tidal Lace she came back with the stunning Tide Pool Quilt. These huge wheels of design goodness first got their inspiration from one of the Tidal Lace fabric designs! I love how she was able to take her design and interpret it with Tidal Lace! Today on the tour are 2 very talented friends that I met through the East Bay Modern Quilt Guild. 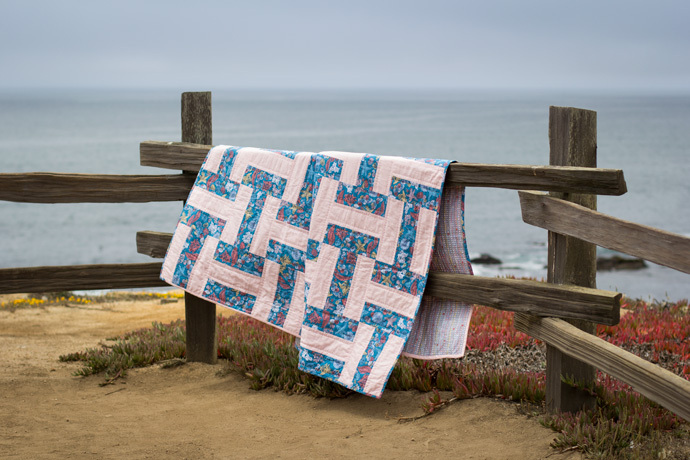 I love seeing the quilts and other sewing projects that they bring to our meetings so I had no doubt that they would do something amazing with my Tidal Lace collection. Can you tell how much I enjoy seeing what people make with Tidal Lace? 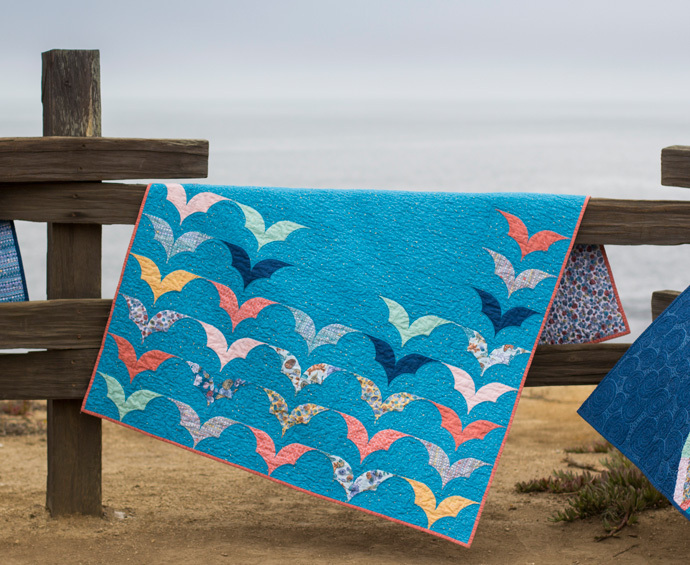 Adrianne’s Happy Kelp quilt is bright and fresh and brings some inspiration to us from the Monterey Bay Aquarium. I love reading Adrianne’s process behind her quilts and you must see the quilty texture on Happy Kelp. It’s sublime! 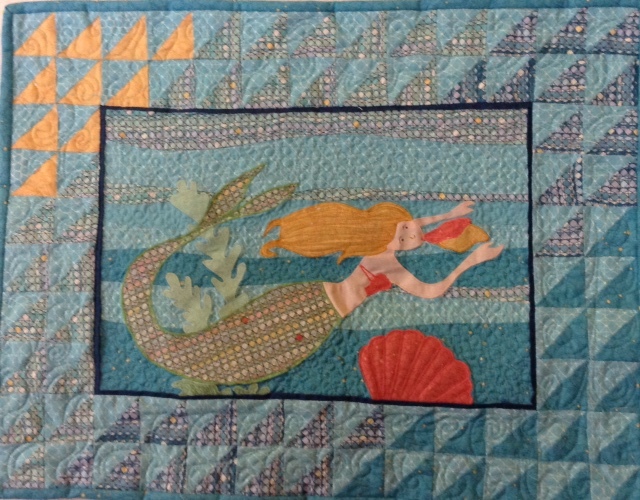 Diving Deeper Quilt by Terri Carpenter. Photo by Danielle Collins. 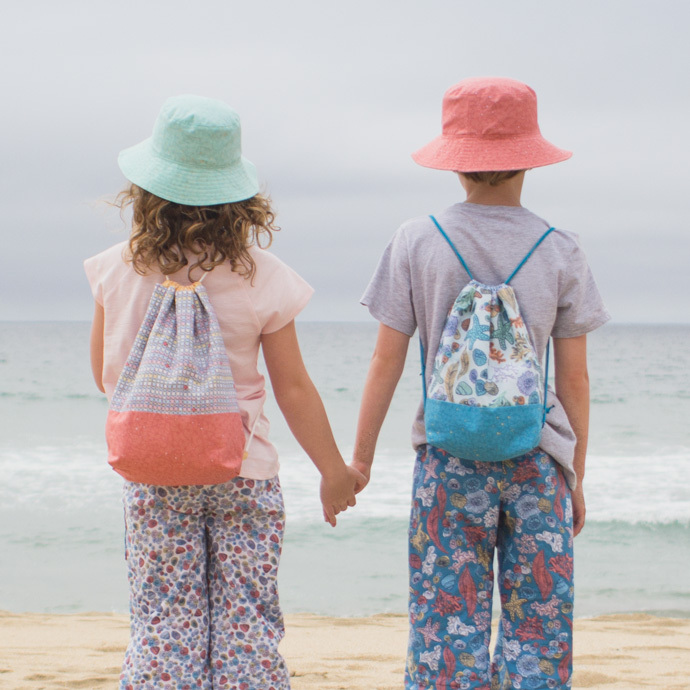 Backpacks by Terri Carpenter. Photo by Danielle Collins. Terri and I have been collaborating on a few things lately and it’s been a lot of fun. First, when you go over to her blog you’ll see her logo up at the top of the page, I worked on that with her. 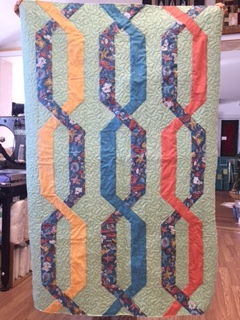 Then in my post on Day One of the blog hop, you will have seen that Terri is not only a talented quilt designer, she does amazing quilting as you can see on my Tides Lines quilt. 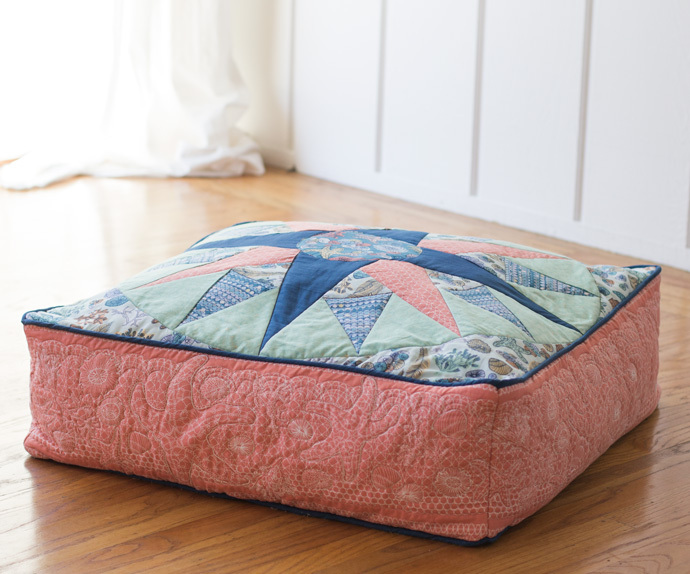 Up on the Hop today Terri has her amazing Diving Deeper Quilt, go visit her to see her quilting on the border! She also made those gorgeous Drawstring backpacks! Today on the tour are 2 incredibly creative people that spur me on everyday. 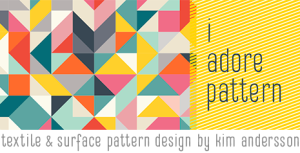 I first met Anne and Stacey through the Quilt Design a Day group on Facebook. This group is filled with wonderfully creative and supportive people and I’ve made some lovely friends through it. Starflower Pillow by Anne Sullivan. Photo by Danielle Collins. 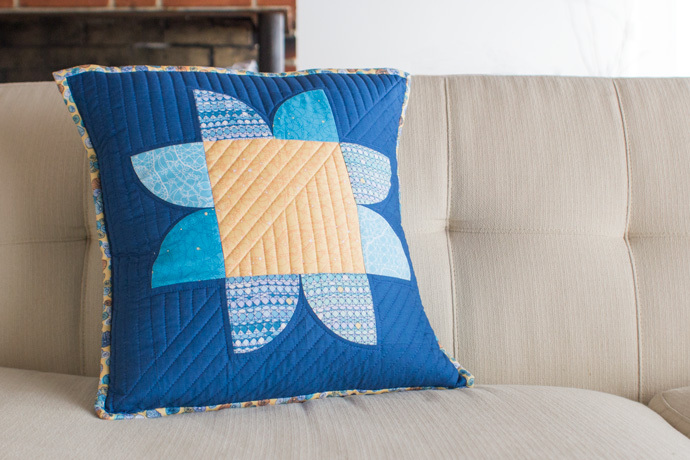 Anne is talking about her inspiration for her wonderful Starflower Pillow today that was inspired by some designs that she was working on in QDAD. I love how she used Tidal Lace in such a bold way! 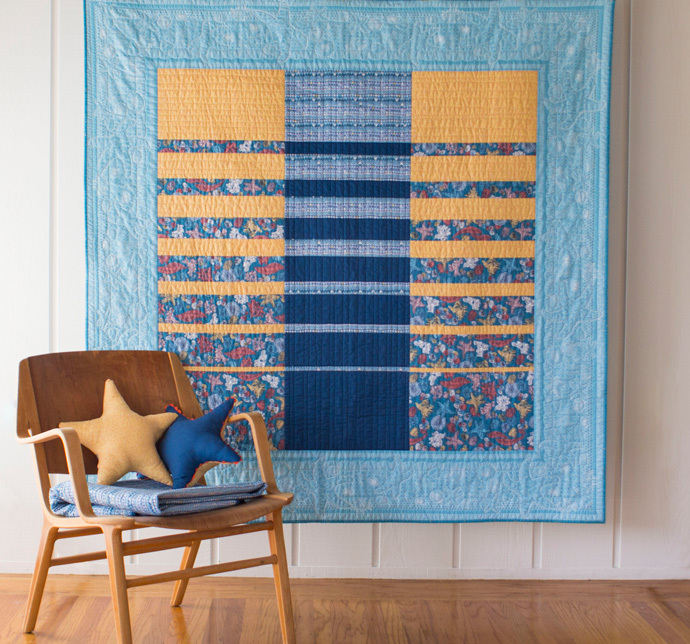 Down By The Sea Quilt by Stacey Day. Photo by Danielle Collins. 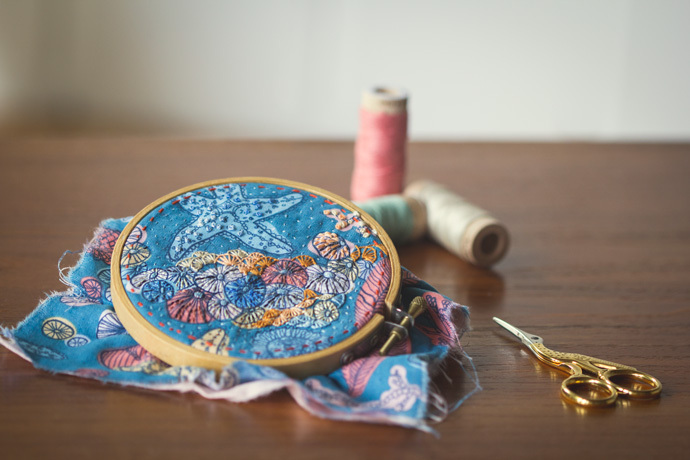 Stacey has written a wonderful post about how the inspiration behind Tidal Lace really connected with her and her life. 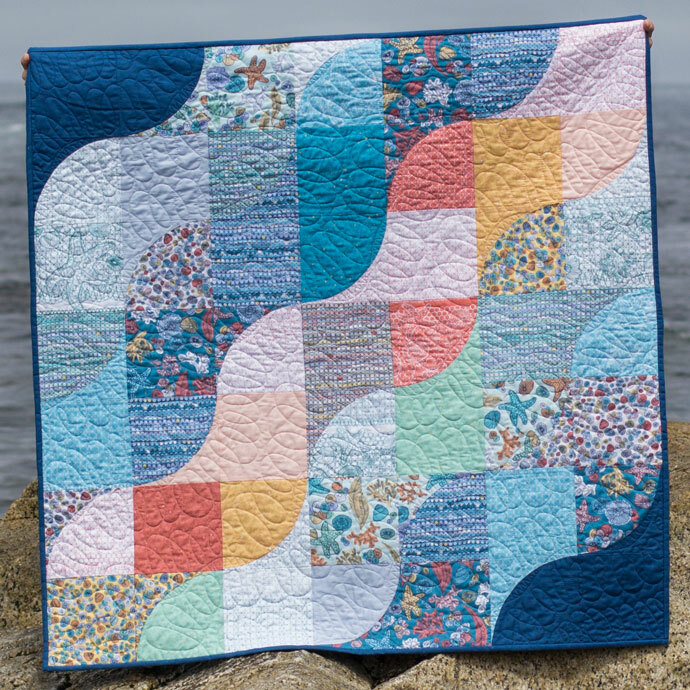 She is also sharing more about her stunning Down By The Sea Quilt (it was hard to not try and keep it), plus there is a tutorial for her Tide Pool Pillow which is perfect for using up your scraps! Find Stacey’s lovely post here. Today on the tour we visit 3 amazing projects made by 3 wonderful people. I first meet Erin from House on Hill road a few years back on a sewing weekend in New York. 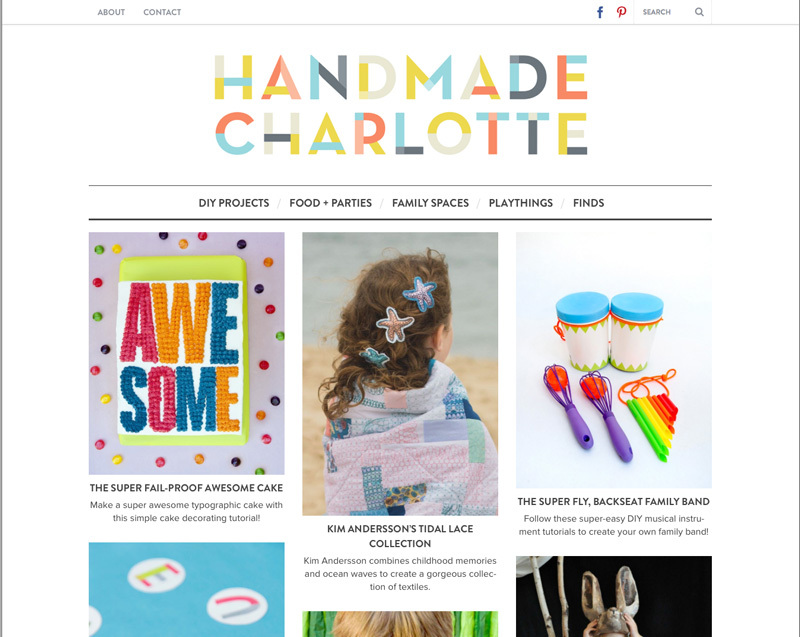 I love visiting Erin’s blog, she has the kind of projects that end up on my must make list and a great peek at her daily life. Her Quilt Essential book is a great reference book. 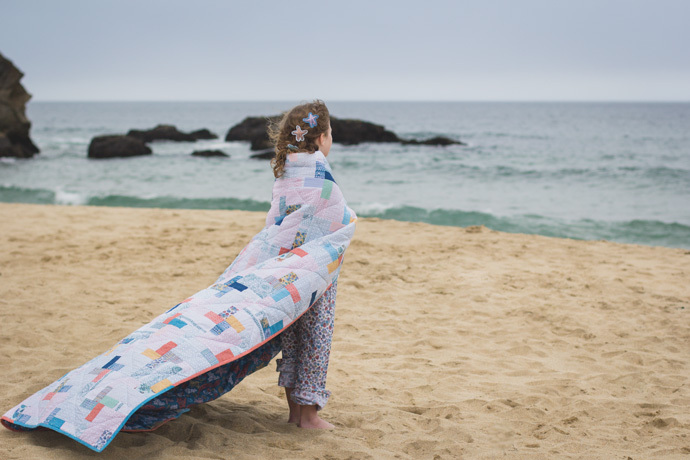 Erin designed and made the stunning Tidal Wave quilt. It’s amazing, go take a look here! Amy and I met virtually through the Quilt Design a Day group on Facebook. I love Amy’s design sensibility and crossed my fingers hoping that she would say yes to making a project with Tidal Lace. What a project she made! 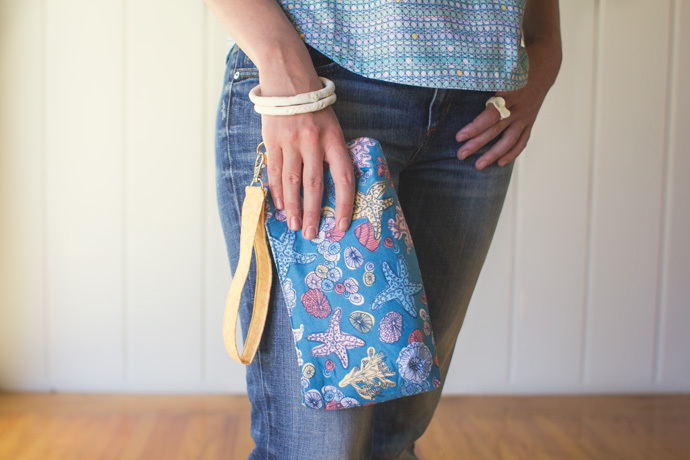 THE cutest boat pouch ever! These are going to be the best presents to make. Quick go find out more here! 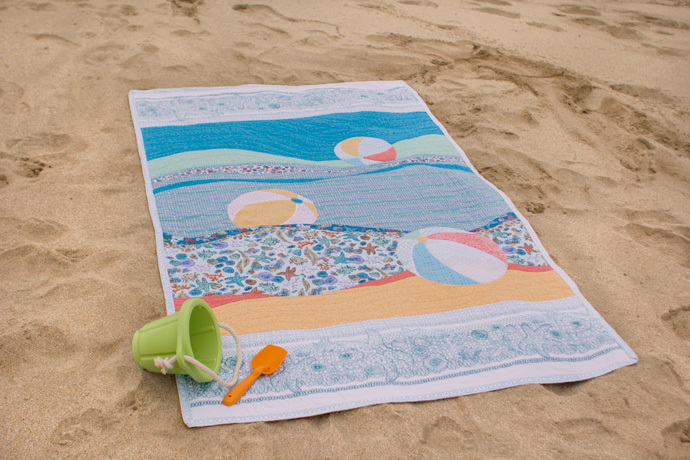 Beach House Placemats by Cath Mosely. Photo by Danielle Collins. I met Cath through my very good friend and photographer Danielle. 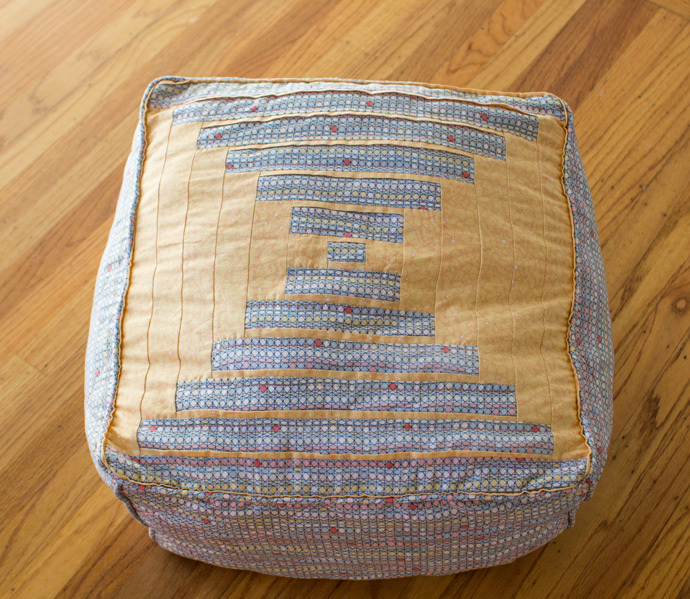 Cath travelled to the USA for Quiltcon in 2013 and we had so much fun with her in Austin! Cath’s handwork is AMAZING! 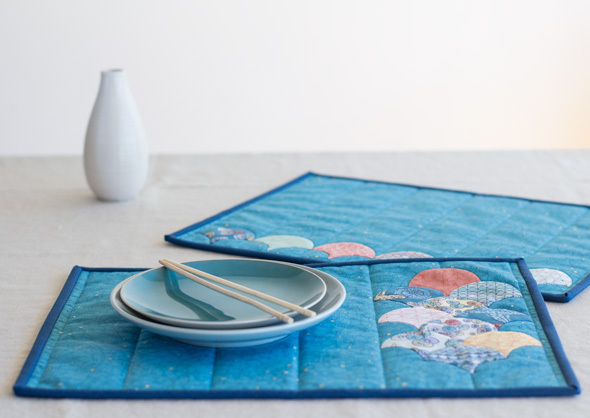 I’m so happy that she was able to incorporate her fabulous handwork in her lovely Beach House placemats with mini clams! Cath doesn’t have a blog but she is the Instagram Queen! 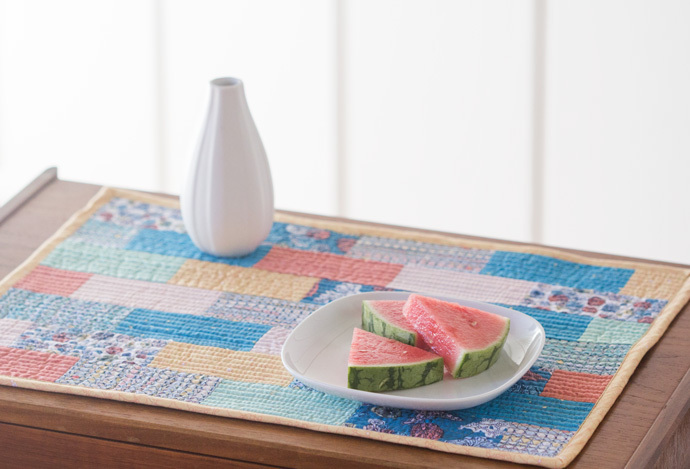 (She taught me everything I know on IG) So check out these wonderful placemats here. Make sure you go visit these stops on the Tidal Lace Blog Hop and leave a comment on their posts. There is a FQ Giveaway for every stop on the Tidal Lace Blog Hop Tour!